Loading... Developed By Recovery Toolbox | (Version 4.2.4.25) | Jan 20, 2019 | (100% Clean – Tested). 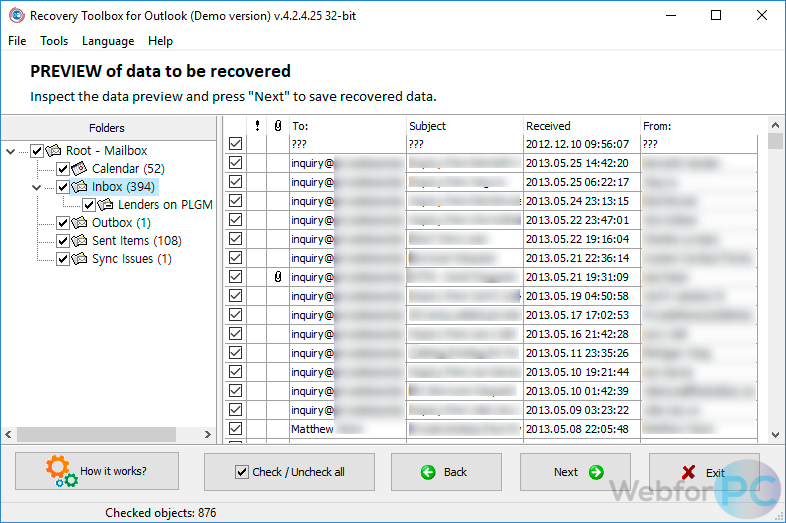 Outlook Recovery Toolbox brings a sturdy interface that besides the file conversion, accompanies a “recovery mode” to retrieve the content (emails, attachments, contacts, schedules and other) of broken OST or PST files from Microsoft Outlook. Editor’s Point: All in all, the program is highly proficient, and is definitely on the ball especially when it is about delivering the work it’s meant for. With the quick data recovery speed and low CPU plus RAM consumption, the application can be the user’s first choice, however, it seems a little pricey, but nothing comes free these days let alone a good recovery software.
. 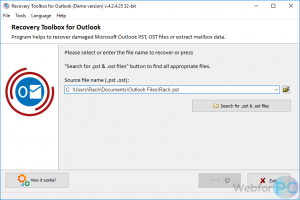 Title: Outlook Recovery Toolbox.
. Updated On: 20th of January, 2019.
. Setup Size: 20.0 MB. 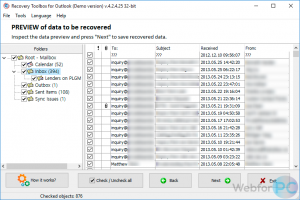 Outlook Recovery Toolbox serves as a robust data recovery application for corrupted Outlook records. The content loss is an absolutely a dreadful nightmare whether it occurs in a work environment, at home or on a Personal Computer, it is way too destructive and disconcerting. As the world today highly relies on the data sent, received or saved virtually, the “Outlook Recovery Toolbox” straightforwardly helps the Mircosoft Outlook users in the hour of need and apprehension. With a long list of features and abilities, it proficiently recovers and regains the access to the corrupted files of both PST as well as the OST. 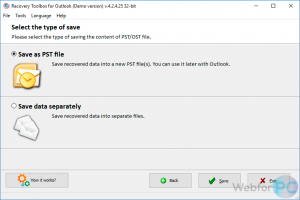 Actually, Microsoft Outlook saves all its data in the “Personal Folder File”; thus to retrieve it, it is necessary to access PST, where the emails, contacts, notes, journal, attachments etc. are present. It is quite challenging for the rookies to deal with such situations and reach the root cause on their own; thus, this program takes all the responsibilities on its shoulders and combats the situation itself. The clean and uncluttered layout makes it understandable plus it instructs the users step by step, the minor CPU and RAM consumption makes it stand out as it does not originate system lagging at all. Extracts from the Damaged Messages. Low CPU & RAM Consumption. Damaged Mailboxes as discussed earlier can bring agony. Indeed, Microsoft Outlook is a leading email client, and huge business empires use this platform for daily communication; thus the data corruption here can be distressing. 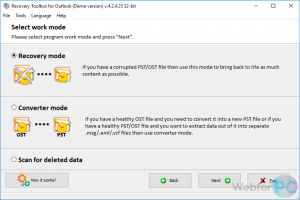 So, this software efficiently extracts the data from corrupted outlook messages, later, the information retrieved is then saved to the separate file. The rescued data is exported in PST, MSG, TXT, VCF, EML etc., as all these formats are supported by all the Microsoft applications and the users can easily read them. Since Outlook is a Microsoft program and runs on Windows OS, this app is compatible with all the Windows operating systems starting from Windows 98 onwards. With zero data limitation, the software is capable of recovering the large files too; however, only five files can be recouped per folders for free, the premium users enjoy the fringe benefits. 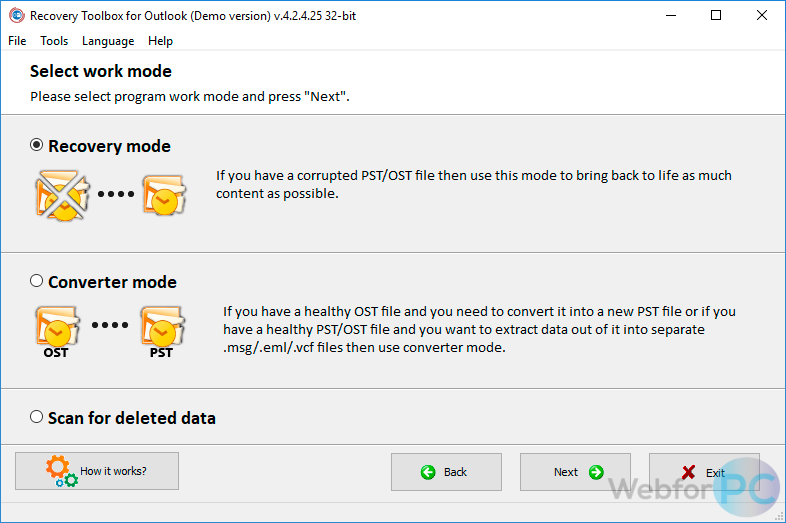 Over and above, it is capable enough to convert the OST file into PST, EML, MSG, and PST to EML, MSG, withal it can repair the files that are password protected or encrypted. There’s barely a file recovery and repairing action for Outlook messages that this tool cannot perform, it is inimitable and absolutely terrific at work. 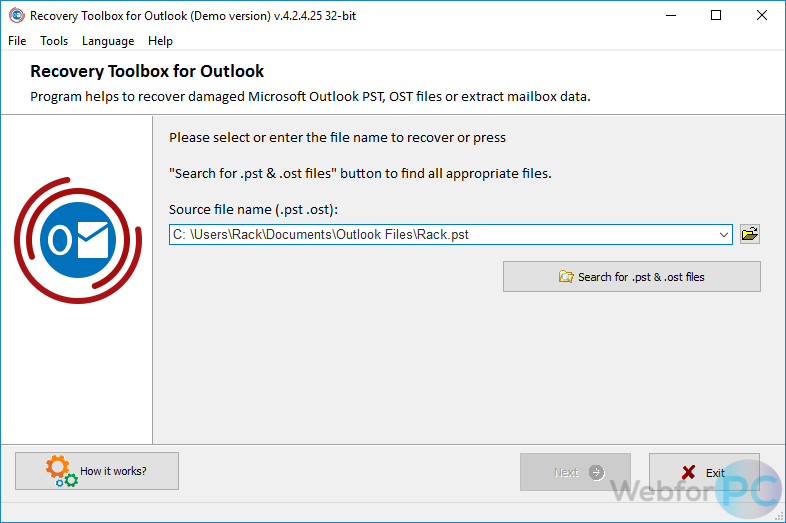 If in any case the user can not access or find the emails in the outlook account, Outlook Recovery Toolbox will fetch them for its users. The calenders/events or the journals maintained by the account can be accessed or found with this software. All the contacts saved in the account can be regained through this toolbox. This program will proficiently grab the notes back in case of any damaged caused to the PST. The attachments that are often received with the emails can be recovered with this tool. 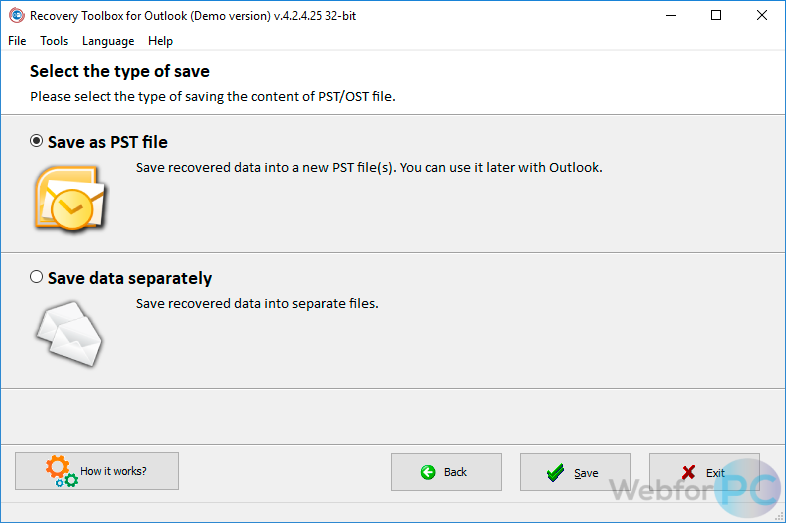 Outlook recovery toolbox can recover and repair the damaged files from both PST and the OST, above all they are all supported by the Microsoft application. The files damaged in the personal storage can be repaired using this program. The software is capable of recovering the files and later convert them to the outlook .pst format. This application is peculiarly designed for the Microsoft Outlook, and it works on all the Windows Operating systems, making it a Windows-only program. Along with the recovery of damaged data, this program is capable of recovering the files that were previously removed by the user. File Size: 20.0 MB (21,069,824 bytes).